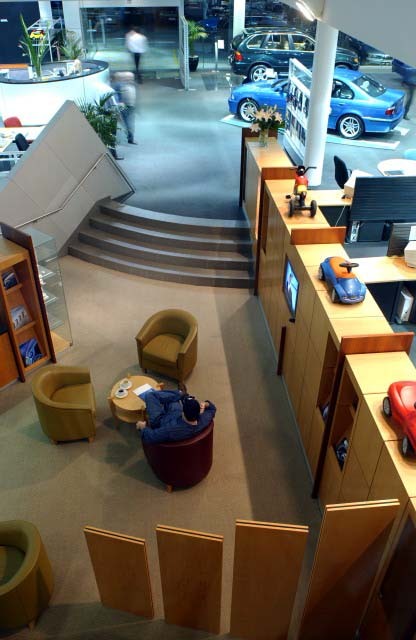 Rethinking the car showroom for this blue chip client. Futurespace have completed new car showrooms for the Alto Group locations at both Artarmon and Pennant Hills. Both projects involved the design of a specialist retaining facility for the BMW ‘lifestyle’ range. The retailing solution had to address the security issues of having an unattended merchandise display in the middle of a public area. The showrooms look more like lobbies than traditional showrooms with comfortable lounge areas, cafes and extensive branding reinforcing the make of the car and the lifestyle associated with it. This is supported by state of the art service centres and office functions.